North Shore sports camps and school holiday clinics Sydney. Our school holiday sports camps and cricket clinics are a great opportunity to boys and girls to have fun, develop new skills and develop awareness for a range of sports, including cricket. These small group sports holiday clinics encourage children to challenge themselves and make new friends in a safe and inclusive environment. Our cricket and sports camps are suitable for both boys and girls aged 5 to 16 years, separated by age group and skill set. It can be a great opportunity for children to challenge themselves against more experienced players, and visa versa. Parents can relax in the knowledge their children are being supervised by highly experienced teachers and learning the correct sports techniques by accredited sports coaches. Each sport camp follows a similar format which has been created specifically to provide each child with an exciting and fun filled program regardless of their age or level of experience. You don’t have to be good at sports or have any experience to have a great time at our school holiday clinics! On the final day of each sports clinic, kids are organised into teams for a World Cup of matches. This is an exciting way to conclude our sports camps and all players look forward to these matches. 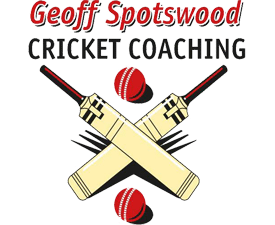 Older players are given the responsibility to captain & develop their leadership skills whilst assisting younger children in understanding how to play cricket. Parents and family are welcome to attend these games. There is a presentation at the conclusion of sports clinics where all players are presented with an individual report by their coach giving feedback on areas of strength & areas to focus on for further development. Parents and family are encouraged to attend presentations. These are awards made to deserving players in each group and are based on improvement, sportsmanship, positive attitude and teamwork. Pre and post clinic supervision will be offered at some clinics but spaces will be limited and allocated on a first come booking basis. Mates Rates Discounts are applicable to the registration of multiple children attending each day of a 3 or 4 day sports clinic. When a booking of 2 or 3 children is made, each child receives a $20 discount. When a booking of 4 or 5 children is made, each child receives a $40 discount. When a booking of 6 or more children is made, each child receives a $50 discount. Sorry, no discounts for 1 day and 2 day programs. Payments for “Mates Rates” must be made via direct bank deposit or cheque.